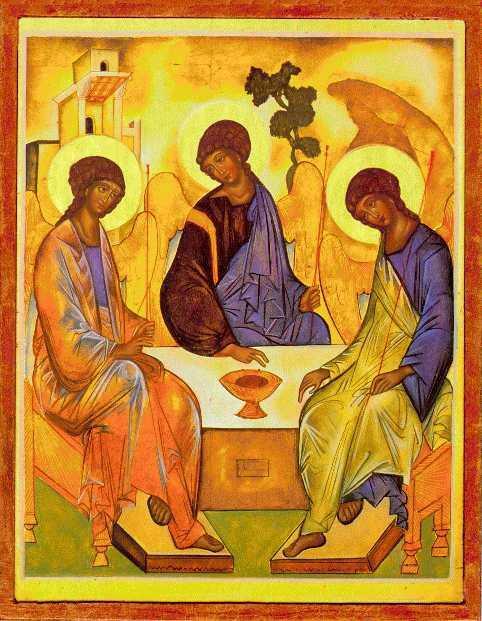 Why the Trinity and What’s the Trinity? On Sunday we are going to be tackling some of the most difficult stuff to understand in Christian theology. We are going to be looking the doctrine of the Trinity. The Trinity is hard to understand, prone to error, and occasionally makes your mind melt. But in a good way. So why bother learning it? Well because at the heart of the trinity is this beautiful compelling and absolutely astounding vision of a dance of love that we want to discover together on Sunday. And even if it is difficult this one belief is probably the most distinctive belief of Christianity that distinguishes it from other monotheistic faiths (i.e. Islam and Judaism). So we are going to give it a shot at looking at it, and learning about it. St. Augustine once said, “There is no subject where error is more dangerous, research more laborious and discovery more fruitful than the ones of the Trinity of the Father, the Son, and the Holy Spirit” And I think that is very true. So come Sunday we are going to be exploring the Trinity and hopefully discovering something more fruitful than we ever imagined. Interesting choice in topic, Thank you for your words of grace. Hey I am making a Christian project for YOUTUBE, with my friends, we r raising money for charity(starting this summer). Um for more info please go to my blog. ITs the one that’s say big announcement . Hope to talk soon. From ur friend Brandon. Also need followers and support.